Train delays are getting more frequent in Singapore and is especially unbearable during peak hours. There are several causes to this delay including the introduction of the new signalling system which will take a couple of months to stabilize. 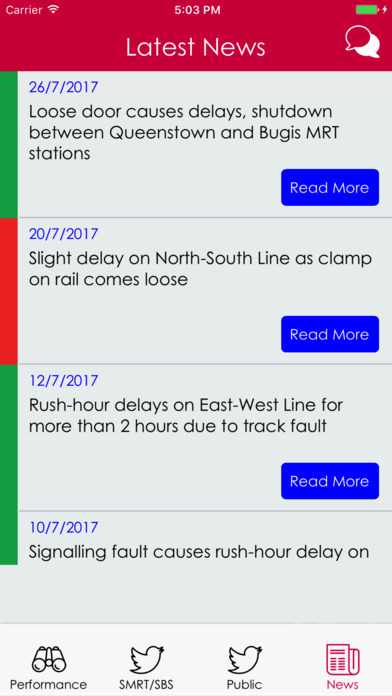 MRT Watch is a one stop app for you to read everything related to our local train system including news on train delay both from official sources (SMRT and SBS) and unofficial contributions from the public. – All latest news related to train delay.